Indo-US defence trade is on an upward trajectory and further growth on equitable and fair terms would ensure a win- win environment which would lead to India achieving self reliance without the US compromising its commercial and national interests. Self-reliance in defence production has been the key focus of “Make in India” policy of the present Government. The policies formulated intend to provide a platform and a level playing field for the Indian industry to invest in defence production to ensure that India becomes a self-sustaining nation for its defence needs and from a net importer gravitates towards being a net exporter of defence products. The current policies, including the Defence Procurement Procedures (DPP) 2016, are aimed at achieving 70 percent indigenisation by 2020 and give a boost to private industries participation in the defence sector in collaboration with foreign companies. In recent times, Indian foreign policy has sought to leverage India’s strategic autonomy in order to safeguard sovereign rights and promote national interests within a multi-polar world. Increase in bilateral trade and investment, cooperation on global security matters, inclusion of India in decision-making on matters of global governance (United Nations Security Council), upgraded representation in trade & investment forums, admission into multilateral export control regimes and joint-manufacturing, including Defence equipment, through technology sharing arrangements have become key milestones and a measure of growth in closer US-India relations. In January 2015, the “joint strategic vision” for Asia was signed between India and the United States. The US armed forces now hold more joint exercises with India than with any other country and two years ago India overtook Pakistan as a buyer of US weaponry. It helps that America has the kinds of goods that Indian armed forces want as they seek to project power more widely in the Indian Ocean, including long-range patrol aircraft and drones, maritime helicopters, aircraft-carrier technology and anti-submarine gear. US has also moved nimbly to accommodate India’s plans for strengthening its own defence industry. Besides half-a-dozen existing partnerships involving such things as jet-engine design and avionics, the two sides have suggested jointly producing fighter aircraft, probably an Indian version of the F16/F-18. The US is fast consolidating its position as India’s largest arms supplier with a flurry of new defence deals and joint projects, after having inked the expansive new 10-year defence framework in June 2015 and bagging contracts worth $10 billion over the last eight years. In March 2009, the Obama Administration had cleared the $2.1 billion sale of eight P-8 Poseidons to India. This deal, and the $5billion agreement to provide Boeing C-17 military transport aircraft and General Electric F414 engines announced during President Obama’s November 2010 visit, propelled the US as one of the top three military suppliers to India (after Israel and Russia). Between 2011 and 2014, almost 40 per cent (Rs 32,615 crore) of Rs 83,458 crore spent on defence imports had gone to US companies. India US collaboration in Defence items over the last eight years include INS Jalashwa, UH-3H Sea King helicopters, C-130J Hercules military transport aircraft, Harpoon Block II naval surface missiles, P-8I maritimere connaissance aircrafts, C-17 Globemaster III aircraft. Defence Acquisitions Council (DAC), has cleared acquisition of another four P-8I longrange maritime patrol aircraft for almost $1 billion. This “follow-on contract” comes even as the Navy has inducted seven of the eight P-8Is ordered from Boeing in the $2.1 billion deal inked in January 2009. The package of these radar-packed aircraft, which serve as “intelligent hawk-eyes” over the Indian Ocean, includes Harpoon Block-II missiles, MK-54 lightweight torpedoes, rockets and depth charges to take on enemy warships and submarines. This propels US as the top arms supplier to India ahead of Russia which had a share of 30 per cent, or Rs 25,363.96 crore, followed by France at Rs 12,046 crore or 14 per cent. Israel, which once held second place after the Russians in terms of military sales to India, had a meagre 4 per cent share at Rs 3,389 crore. India-US Defence Framework Pact and DTTI India’s formal cooperation with US in the area of defence started in January 1995, when the Agreed Minute on Defence Relations between the two nations was signed. This led to the establishment of a Defence Policy Group (DPG). Defence Policy Group worked as apex institutional dialogue mechanism for Defence Cooperation between India and United States. In June 2005, a New Defence Framework Agreement for the U.S.-India Defence Relationship was signed. This document focused on defence trade, joint exercises, personnel exchanges, collaboration and cooperation in maritime security and counter piracy operations, exchanges between each of the Services, etc. DTTI, launched in 2012, was an unprecedented joint endeavour that brought sustained leadership focus to the bilateral defence trade relationship, created opportunities for India-US coproduction and co-development, and encompasses more sophisticated science and technology cooperation, while ensuring that bureaucratic processes and procedures do not stand in the way of the progress. In 2015, India and United States have renewed this Defence Framework Agreement for the next 10 years. The most important element within the Defence Framework Agreement is the Defence Technology and Trade Initiative (DTTI). Its main objective is to strengthen defence cooperation by facilitating the Indian companies to collaborate with US partners in defence co-production, where the US provides technology and guidance for building modern weapon systems. It is important because codevelopment and co-production under DTTI may become the hallmark of the Indian government’s ‘Make-in-India’ initiative. DTTI is not a treaty or law but aims to strengthen India US cooperative research, co-production, and co-development of capabilities that are needed for the sustainment and modernisation of our military forces and the growth of our economies. Under the renewed pact, four key “pathfinder projects” for joint development and production were identified in 2015 (during President Obama’s visit) under the DTTI. These were production of next generation Raven Unmanned Ariel Vehicles, intelligence-gathering and reconnaissance modules for C-130J Super Hercules aircraft, Mobile electric hybrid power sources and chemical biological warfare protection gear for soldiers (technically called uniform integrated protection ensemble increment-2). In addition, working groups were announced to explore cooperation on jet engine technology and aircraft carrier design and construction technologies, which includes EMALS (electromagnetic aircraft launch systems) developed by General Atomics, under the DTTI. There has been very little movement in the first two “pathfinder” proposals but India and US have committed to“identifying additional projects for possible co-development and coproduction of high technology items that meet the transformational intent of DTTI,” according to a defence ministry statement. There have been positive discussions at the Joint Working Group on Aircraft Carrier Technology Cooperation (JWGACTC), especially in the area of Aircraft Launch and Recovery Equipment (ALRE), and progress has been achieved at the second meeting of the JWGACTC in February 2016 in India. The Jet Engine Technology Joint Working Group (JETJWG) has reportedly concluded its Terms of Reference and is moving in a positive direction. Meanwhile, India and the US have identified two new “pathfinder” projects under the DTTI for the joint production of a helmetmounted digital display and a biological tactical detection system. Last year in September, days before Indian Prime Minister Narendra Modi’s second official visit to the US, New Delhi approved plans to buy 37 military helicopters from Boeing Co. These include 15 CH-47F Chinook heavy-lift helicopters and 22 AH-64E Apache multi-role combat helicopters, and options to buy an additional 7 Chinook and 11 Apache helicopters. An official estimate of the deal is quoted to be worth $3 billion. Simultaneously, Pentagon and South Block have concluded $694 million contract for BAE M-777 ultra-light howitzers, under which the bulk of the 145 artillery guns to be acquired in the government-togovernment deal will be made in India with Mahindra Defence & Aerospace, Mahindra Group as the Indian business partners. In addition, it is reported that India has offered to buy two intelligence, surveillance, target acquisition and reconnaissance (ISTAR) aircraft from the U.S. on a government-to-government basis. The US defence technology is the most advanced. Also, the purchase of US weapons comes with high restrictions. US is known to share the high-end defence technology with very few allied nations such as UK. India is among eight countries where US defence exports are not restricted. This status has facilitated the defence technology transfer from US to India, which is generally under tight control for other countries. The innovative technologies resulting from increased U.S.-India collaboration could be produced by India’s growing industrial base, aligned with Prime Minister Modi’s “Make in India” policy. Although the initial investment in the two DTTI projects viz, mobile electric hybrid power sources and Chemical biological warfare protection gear for soldiers is modest—with the U.S. and India each committing a total of $500,000 over two years for each project—the value of the collaboration is far greater when measured in terms of the strategic realignment the partnership signals, especially vis-à-vis concerns over the balance of power in the region. India and US have discussed the further movement in Defence Trade and Technology Initiative and the core technologies listed under the initiative during Defence Minister Manohar Parrikar’s recent visit to the US. His meeting with Secretary Defence focused on the India-US defence relationship and broader India-US strategic partnership and focused on ways to maintain the strong momentum of security and defence engagement, including means to further move the DTTI forward. India’s Defence Research and Development Organisation wants to partner with GE on the latest F-414 engine for the future Tejas Light Combat Aircraft. So far the U.S. side has been reluctant despite the scope of future engine deals which may lead to India going for a global tender. U.S. analysts agree that Washington is unlikely to part with cutting-edge technology because that’s what gives its defence industry an edge. The DTTI initiative can start at the lower end to test how the two bureaucracies, private industry and other suppliers connect. “You can’t produce a Lamborghini right away,” one American official is quoted to have commented. India’s quest for self reliance in defence sector is predicated around indigenisation and use of organic industrial and human resource base. India’s interests in US defencetechnology are mainly on technology transfer. The reason is that when we purchase the arms, we need support and denial of support can cripple critical equipment. Technology transfer, besides providing the obvious security against denial at critical times would create an environment for the growth of own industry and human resource. India acknowledges the technological superiority of the US weapon systems but it seeks partnership and not seller-buyer relationship. If we keep defence relations in perspective, the strategic relationship between India and the US are on a growth trajectory. There also seems to be greater recognition of India’s concerns on transfer of technology. Hence, the talk is not just about co-production but also co-development of next generation equipment and weapon systems. The changes in policy for FDI in defence sector have had a positive impact on the environment for greater foreign participation. The talk of increasing the FDI on case to case basis from the current 49 percent to 74 percent and even 100 percent would further make the industry salivate on the prospects of investing in this sector. The US’ Defence Trade and Technology Initiative (DTTI) and India’s Make in India programme have a lot in common. In fact, they seem to compliment each other’s objectives. The US has commercial interests, for it seeks to obtain a sizeable share of India’s projected defence requirements worth $100 billion over the next 10 years. However, India is not interested in a typical buyer-seller relationship with the US or, for that matter, with any other country. It wants to be a co-developer and co-producer of defence goods. In addition, the shift in policy to permit and promote exports of Defence equipment produced in India gives a further impetus and incentive to the industry in this sector. This has been one of the main reasons for the US defence industry to formally pitch two proposals for the manufacture of fighter jets under the ‘Make in India’ initiative. The trust between India and the U.S. has grown over the years, as have sales of weapons. The two sides have moved from deep suspicion to talking about collaboration on developing India’s next generation aircraft carrier. That’s a long distance to cover in a short span of 10 years. Cooperation between the two countries is expected to increase under the renewed framework and the recent developments are a few examples of the types of cooperation and trade we will see between the two countries. Given the recent developments in the U.S.-India defence and security relationship, Covington and Tatva Legal hosted the Third Annual India-U.S. Defence and Security Forum in New Delhi in May last year. The forum brought together top executives of major U.S. and Indian companies involved in defence and the defence-related sectors, along with senior officials from both governments, thought leaders, and key industry participants, to engage in indepth and action-oriented discussions on the impact of the policy changes, the new opportunities, and the existing challenges related to expanding the U.S.- India- defence sector relationship. “Defence trade between India and the U.S. creates a win-win opportunity for India and U.S. companies, and our Forum will help corporate leaders learn more about the opportunities in technology and trade that will come over the next decade,” said Ralph Voltmer, chair of Covington’s India practice. Cross-border trade and business relationships between U.S. and Indian companies are likely to grow in light of the renewed framework agreement and other policy changes and new priorities on both sides. This is easier said than done as private defence manufacturers in the US are not known to part with technology easily. Also, there are legislative controls on sharing of technology. This hindrance can be overcome only if India is elevated to the status of US’ defence partners like Australia and Israel. While India never wanted to be closely identified with any country in its pursuit of strategic interests, it cannot also overlook the growing symmetry between its own “look east policy” and US interest in Asia. The India-US Logistics Exchange Memorandum of Agreement (LEMOA) is agreed to in principle. However, the big benefits, almost entirely in the form of technology, would come more easily from the other ‘foundational agreements’—Communications and Information Security Memorandum of Agreement (CISMOA) and Basic Exchange and Cooperation Agreement (BECA) for Geospatial Intelligence—as and when (and if) they are signed. Growing Indo-US defence trade is emerging as a path breaker for the Government’s ambition to make India a self-reliant nation for its defence needs. The quest for self-reliance is based on the need to ensure national security, economic growth, development of human resource, all in line with the “Make in India” policy. The challenge is to transform the intent to action. 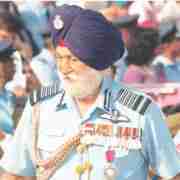 Air Vice Marshal Arvind Verma, VSM is a retired Indian Air Force officer. Hehas been Senior Directing Staff at National Defence College, New Delhi and is former Centre Director of National Technical Research Organisation.